We’ve all seen the look of despair, innocence and embarrassment your little puppy gives you when he or she goes potty on your new carpet floor. Their little face droops, a little whine commences barely audible and the droopy eyes beckon your forgiveness. Yes, the excitement of bringing a new member to the family tends to overtake you until reality hits and you realize your little one needs to be housebroken. This is when puppy pads come to the rescue. How are Puppy Pads Used? 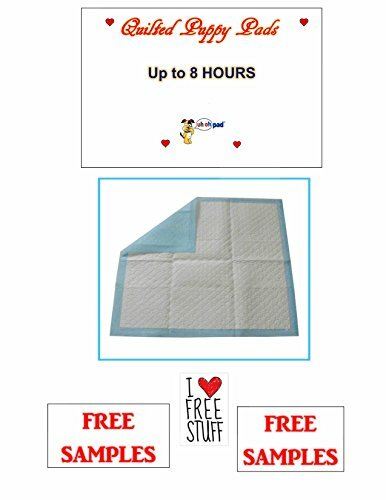 A puppy pad, also known as a pee training pad, is a thin, square or rectangular-shaped piece of layered material that absorbs urine. Puppy pads are also used by dogs to defecate inside the home. Puppy pads are made from various layers of absorbent material. They are shaped either as a squared or rectangular material that absorbs the liquid. The pad‘s frame is made from a blue plastic material that secures the borders preventing liquid from spilling. When your little one goes to the bathroom on the pad, all you have to do is pick up the pad and throw it away. Puppy pads come in various sizes depending on the size and breed of a dog. Some come scented with odor-eliminating perfume while others are scented to attract dogs to go on the pad. The most popular scents used by puppy pad manufacturers are pheromones, grass, and ammonia. Pheromones: Pheromones are chemicals produced and secreted by dogs to attract each other. Some pads are treated with pheromones that attract them to the pads. Pheromones spray is also sold separately so you have control over how much to spray the pad. However, it is important to recognize that not all dogs will respond to the scent. Grass: Dogs love the fresh scent of grass. With this notion in mind, some manufacturers add a grassy scent to their pads. Puppies usually are prone to be lured to those pads with a grassy scent. These pads are a great start for those dogs that will later segue to the backyard. Ammonia: Ammonia is one of the most common odors produced by dogs when they defecate. Basically, it is the smell of urine. 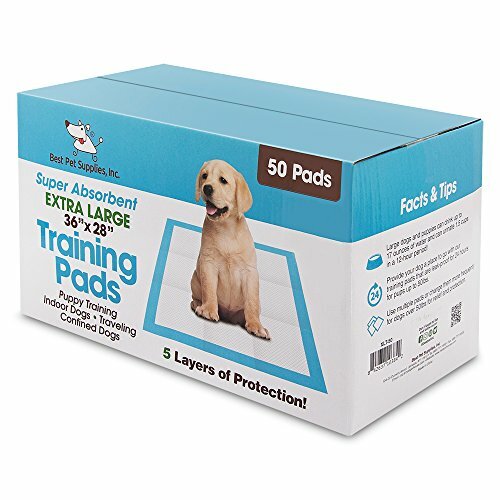 Pads scented with ammonia work best to lure puppies and older dogs because it alerts canines that they have a place that is ok to go to the bathroom. Lavender: The lavender scent overpowers the soiled odor left after your dog uses the pad. When you start to train your little one to go to the bathroom inside the house, pick an area of your home that will be the designated potty spot for your puppy, preferably a smaller area of the home away from traffic. For example, my Harley has her pee pads amid kitchen and bedroom. When she sees the pads on the floor, she immediately knows that the pad is her private bathroom and sanctuary. When you begin, make sure to have plenty of training treats. Positive reinforcement is the most rewarding way to tell your friend that you are proud of them for their accomplishments. Moreover, puppies are very eager to please you when they arrive at their new home. They run around, smell and even roll over things in an attempt to leave their scent. Therefore, make sure you make time from your busy schedule to watch your puppy for the rest of the day. By watching him, you’ll be able to understand his characteristics and behavior when it’s time to go to the bathroom. Additionally, make sure you be consistent with a training schedule and teach your pup how a pad differentiates from the floor. When you first start, cover most of the floor around the house with pads. When your puppy begins her potty dance, take her to the designated area place them in the pads as they go. After a week or so, take away some pads until the pads are only in the designated area. Soon, you’ll notice your pup run to the pad instead of having an accident on the carpet or floor. Some dogs bark, whine, sniff while circling an area. As soon as you see this behavior, pick up your little one and place her on top of the pad. If your pup starts to leave, gently place her back on the pad until she goes to the bathroom. As soon as your canine goes on the pad, praise her for a great job and give her a little treat. Be consistent with your praise. If you use a cheerful, happy tone when your little one goes on the pad, then continue to use the same tone. Your puppy, eager to please you, will soon understand that she is doing a great job and will want to continue to do so. If your little one has an accident, you must be firm and communicate it by telling them, “No!” Immediately pick your puppy up and put them down on the pad. The next time you see your dog about to leave you a present on the floor, pick them up and place them on the pad as they start to defecate. Once your dog has finished their business, give them a little treat with praise. Punishment is out of the question when your pup has an accident. Dogs have no idea that what they are doing is wrong if they have not been trained. Therefore, when accidents happen, your voice should be a disapproving tone only. Your stern voice should be one of authoritativeness. You want to startle your dog, not cause fright. Moreover, when you yell at your dog, they have no clue why you are angry. Some folks force their pups to smell their accidents and others keep a grudge at their poor dog. All these actions do is scare your little one and confuse them. Your dog will associate yelling and punishment as your disapproval for going to the bathroom. As a result, you will find surprises in areas that you can’t reach because your dog will think it’s not in your way. It is very important to understand that while some dogs are responsive to the pads, others are not. Therefore, the only bad draw to using a pad is that your dog may not get used to it, especially if you have an adult. Dogs need to be walked– the bigger the breed, the longer the walk. For this reason, many large breeds may not get used to using one. Small, gentle breeds, older, and disabled dogs are great recipients for pads. Even more so are dogs whose owners work very long hours and can’t get home to take their babies out. Little dogs are more prone to love the pad. Puppies that have not been vaccinated cannot be exposed to other dogs. Therefore, they must be potty trained at home with the potty pad. Older and disabled dogs can easily walk over to the pads and do their business. 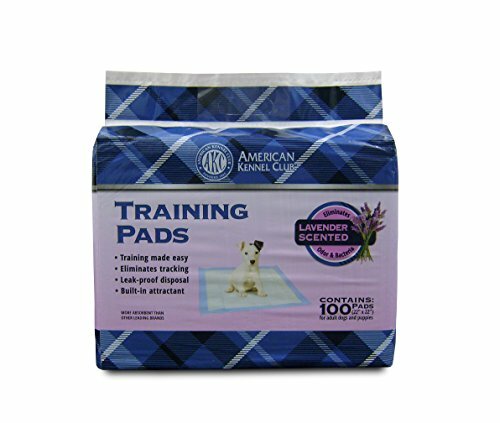 AKC Training Pads are built with 6 absorbent layers that keep your home smelling fresh despite the urine on the pad. The pad is also antibacterial and keeps germs off your home’s floor and furniture. 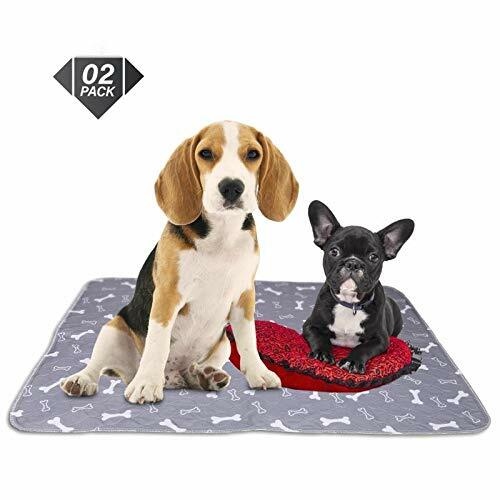 Best Pet Supplies makes super absorbent extra large puppy pads. These pads are made from five layers of absorbent material and have an anti-slip bottom. So, if you have a very energetic big baby, the pads will not stick to his or her paws after defecating. Quilted pads from Oops Pad Pee Pee Pads are scented with an attractant to draw in your dog. They are made up of five layers of absorbent material and can handle dogs up to 30 pounds. My little Harley was trained both to go outside and indoors with the pads. The first pads I got her were scented with ammonia and stopped working after the second time. When I changed it to a non-scented pad, she loved it. Harley began to use pads again last year after she became ill. On days when she is not well, she will go on the pads and cover it so I don’t walk on her mess. Other times she’ll paw me and tell me she has to go out. Whichever pad you decide to use, remember to clean up right after your pup goes on it. Have an open mind that your furry one may or may not like using the pad. If this is the case, work together with your little one to get a potty schedule that works for both of you.